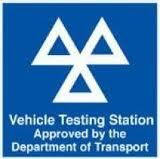 New Dealer level diagnostic tool for Land Rover and Range Rover. We have recently expanded coverage of the excellent Autologic diagnostic platform through the addition of Land Rover and Range Rover. With the aid of the Autologic diagnostic platform, and the excellent technical backup/library that comes with it we are able to do everything that the main dealer can, in some cases more. All system diagnostics, key coding, E.C.U software updates (Re-flash), E.C.U/module coding and much much more. Land Rover and Range Rover.